Member of the Month - Meet SuzyQ! 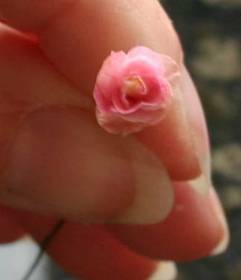 Come and see how Susanna makes tiny paper roses that would be just as beautiful by any other name. Make a loop in the end of the wire and dip it in glue, then take some of the thread and twist around the loop tightly, cut off extra. Dab glue around the thread and add one petal and roll it gently. 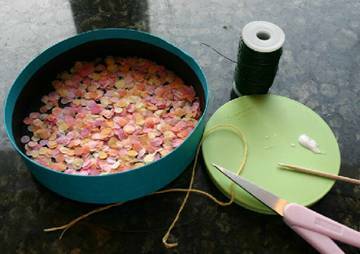 Add onto the flower by dabbing glue and gently placing new petals around the center. Continue to add petals until you are happy with the flower.